What Are The Similarities And Differences Between Airwheel A3 And A6S Smart Wheelchair? Abstract: Airwheel is a forward thinking company devoted to making people's life easier and more pleasurable, no matter the kids, the adults or the older. Its innovative and creative products emerge one after another and newly released A6S electric wheelchair belongs to A series. But it has many differences with A3. Faced with the fierce competition in the market, in order to keep its competitiveness, Airwheel has taken the lead to release a product called Airwheel A6S with a super wide seat design, handle controller and dual motors and smartphone App to further enlarge its consumer base. It is great importance to find the market public users rigid demand. As the second product in A series, A6S electric self-balancing wheelchair shares similarities with A3 and more importantly, it has made several upgrades to meet the demands of those who have difficulty in walking. Like A3, A6S adopts aerospace attitude control theory, fuzzy software algorithm and gyroscope system to go forward or backward. Then, the mobile App was firstly introduced to A3 and A6S smart wheelchair has equipped the App whose fault self-diagnosis guarantees your safety before travelling and the attentive intelligent design to set the speed level makes it easy to control even for the first riding. Both install 14 inch large wheels to make it suitable to more different road conditions. 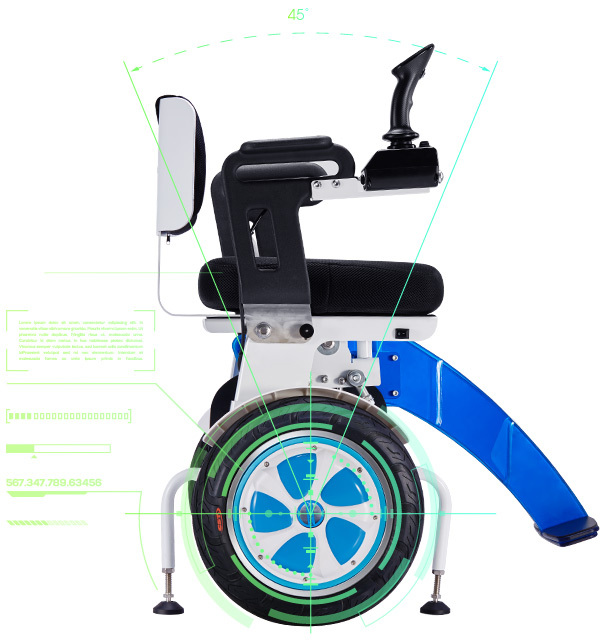 Speaking of the differences, A6S foldable electric wheelchair chooses different colour combination, white and blue. Also, A6S is foldable to make it easy to store. Though A6S installs the saddle design, its saddle is much wider and more comfortable than A3, making the long-time sitting relaxed. In the daily life, A6S can serve as a chair. Moreover, the dual motors provide strong power with steady and continuous power output to ensure A6S negotiates on slopes, sand and other road conditions. 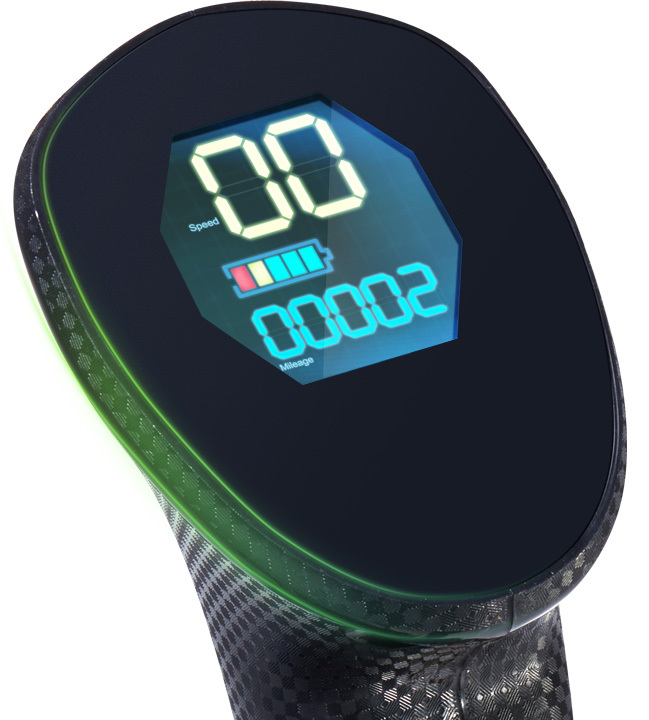 However, the most different feature is the intelligent joystick with LED to show the real-time data. We have said the gyroscope system control it to go forward or backward. But to go left or right, riders need to push the joystick to left or right. What is more, the alloy kickstand is in automatic design, so parking is easier than ever. Previous：What Makes Airwheel A6S Electric Self-Balance Wheelchair Unique?